NEWLY BUILT HOUSE, FIRST HAND RENT. 24hrs Water, very large open space at Front and opposite of a well maintained Park. 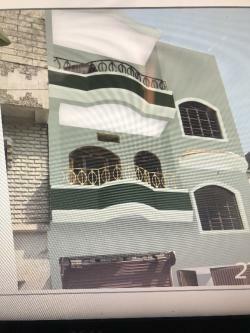 Available for rent located at 8L/129,Sector-8,Bahadurpur Housing Colony, Bhoot Nath Road, Near Agamkuan Thana and opposite RBI Flats. House is located just opposite Sector-8 well maintained Park no.1 having decent natural environment rarely available at Patna. Very very peaceful and calm area. Govt.,Bank officials,sober genuine and small family will be preferred and rent considerations may done with mutual consent. You may call on 9334274697 also. If want to visit please inform prior. Hurry, a beautiful residence waiting for you.